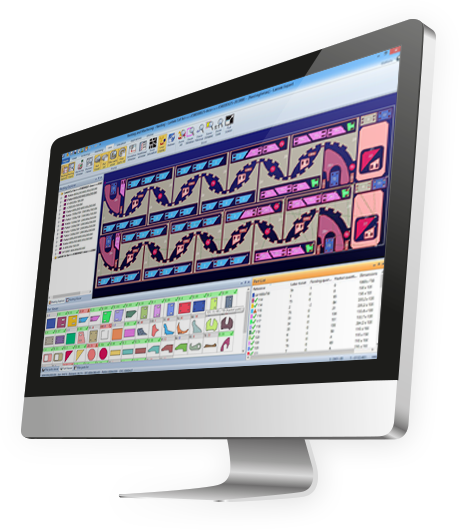 Lantek Expert is the World´s most advanced CAD/CAM nesting software system, designed for automating the CNC programming of sheet metal machines. Lantek Expert provides the most advanced nesting algorithms and mechanization strategies (Thinkingmetal Technology) for any of the existing cutting (laser, plasma, oxy-fuel, water jet technologies) and punching machines. Lantek Expert achieves an outstanding performance with our Machine Tool Builder Partners, based on our close collaboration with them, but also optimizes the results of machines from manufacturers like Amada, Esab, Ficep, Flow, HK Laser & Systems, Koike, Mazak, Messer, Prima Power, Salvagnini, Trumpf, and many other. Lantek ensures excellent results, both in nesting and machining, for any cutting or punching machine today and in the future.